Kickstarter and Indiegogo are full of awesome, innovative products; that’s basically what keeps the sites running. People come up with crazy concepts for new products, slap together a campaign, and find the funding to make their ideas realities when other people are like OH DAMN, I really need that. The only problem is that, unless you donate to a campaign, it can be really hard to track down the finished products. Heard about the awesome charger/wallet/iPad case? How about that desk that keeps your laptop cool? Once the funding period is over, figuring out where to get your hands on one can too often require some serious searching skills. That’s where sites like REIGN23 come in. 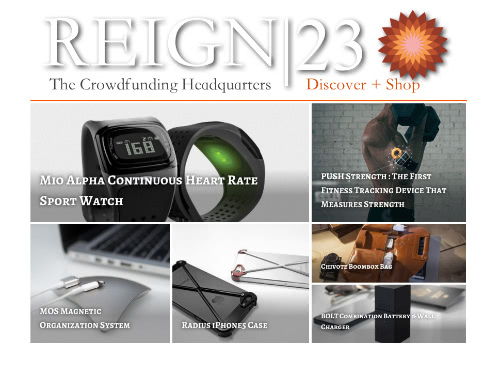 REIGN23 is an online marketplace for successfully crowdfunded products. REIGN23.com highlights awesome products from Indiegogo and Kickstarter and sells them directly on their platform. A look around REIGN23 reveals what I would call a decidedly stereotypically male slant in the products they sell, an impression that is buoyed by their minimalist, largely black and white design. Their products fall under the categories Home and Office, Accessories, and Lifestyle and include items like the Rhino Shield, which protects your phone from impact and shock; the Chivote Boombox Bag, which carries all your electronics and can be worn in four different styles; and the self-explanatory JUCIES+ Aluminum Tangle Free Woven Cable. Basically, it’s mostly stylish stuff for the techie in your life. Before founding REIGN23, Sean Walser was the Senior Vice President of San Diego-based sports company Deuce Brand, where he kept sales consistently above seven figures for three years. In 2013, Sean decided to make the move into helping other companies find retail success and founded REIGN23, which not only connects consumers with crowdfunded products but also partners with major retailers (including Apple, Sprint, Verizon, Best Buy, Staples, Brookstone, and Target) to get items into brick and mortar stores. “Getting into brick and mortar retail for a new company can be frightening, intimidating and most of all time consuming. 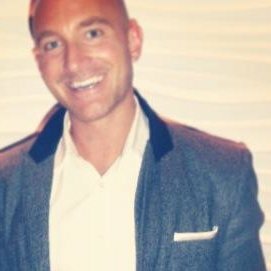 There are a lot of fantastic innovative products that never make it to retail shelves simply because of the vast number of variables new companies encounter,” Sean explains. As crowdfunding continues its thus-far astronomical success and more and more badass, innovative products are created, you can count on sites like REIGN23 to get them either directly into your hands or, at the very least, to a store near you.